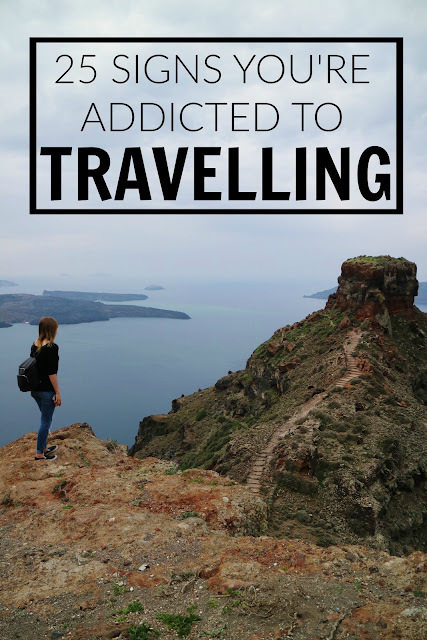 So the travel bug has officially hit you? You love exploring new (and old!) destinations, and you can't imagine your love for seeing the world going away anytime soon... 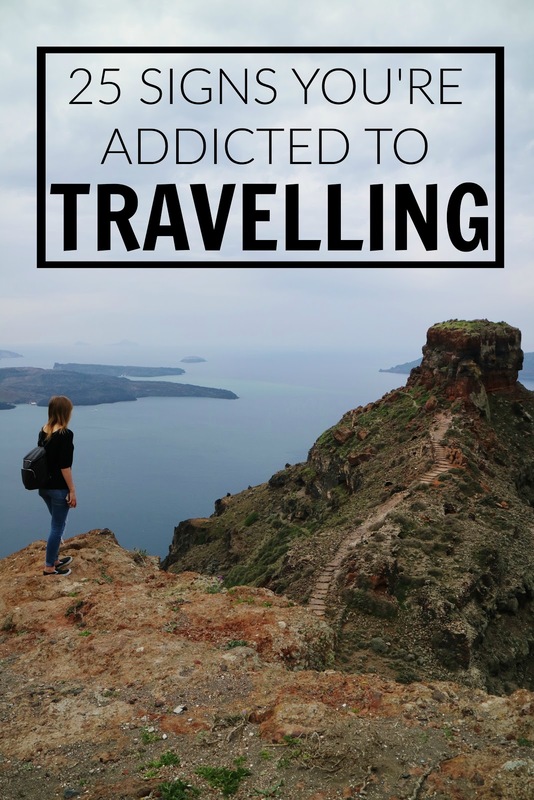 Here are 25 signs you're addicted to travelling! 1. You dream about travelling far too much. 2. Your travel bucket list is constantly getting longer rather than shorter. 3. All of your spare income goes on travelling. 4. You've already booked your next (or even fourth...) trip before you've finished your current one. 5. When asked the question "Where are you off to next?" there's never a short answer. 6. You ask for plane tickets as Christmas presents. 7. You have a dedicated folder on your phone for travel-related apps. 8. You love to play the Skyscanner 'Search Everywhere' game to see where you could go next. 9. You think of spending money in terms of travel. A £50 pair of shoes... that's a flight from London to Paris! 10. You've become an expert at packing. 11. You become very opinionated about types of suitcases, travel-sized toiletries and packing cubes. 12. You use every available day off work for a trip. A three day long-weekend... time to go to Amsterdam! 13. You even make the most of weekends by going somewhere early on a Saturday morning and returning late on a Sunday night. 14. You have a travel bucket list Pinterest board. 15. You constantly dream about multiple different travel itineraries. 2 weeks in India, 3 weeks in Australia... you name it. 16. You hate it when countries don't stamp your passport. I'm talking about you Hong Kong. 17. 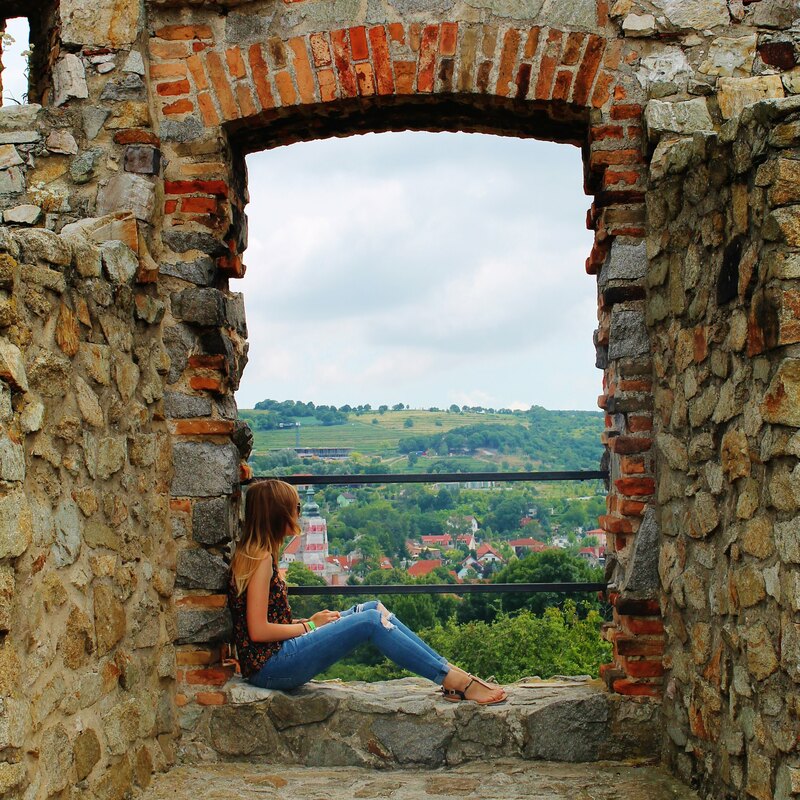 Your Instagram and Bloglovin' feeds are crammed full of fellow travel-lovers. 18. You know your way around your local airport like the back of your hand. 19. You can fall asleep almost anywhere, even the back of a tuk-tuk sat bolt upright. 20. You can't go without having your next trip booked to look forward to. 21. You worry that if you don't see somewhere soon, you'll run out of time to see everywhere that you want to see. 22. You have a map of the world showcasing all of the places you've visited. 23. You spend hours scrolling through travel websites and blogs. 24. Your email inbox is full of the latest travel deals. 25. You've got a memory box full of old travel tickets. Love this and I'm well on the way to ticking off all of these! My wanderlust seems to grow with every day and every new place I go! Eeeep! I can't wait until I'm free from uni to start ticking off (and adding accordingly) places off the bucket list! Interesting post with great photos to company. Keep sharing.